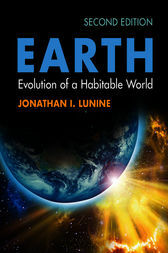 Fully updated throughout, including revised illustrations and new images from NASA missions, this new edition provides an overview of Earth's history from a planetary science perspective for Earth science undergraduates. Earth's evolution is described in the context of what we know about other planets and the cosmos at large, from the origin of the cosmos to the processes that shape planetary environments and from the origins of life to the inner workings of cells. Astronomy, Earth science, planetary science and astrobiology are integrated to give students the whole picture of how the Earth has come to its present state and an understanding of the relationship between key ideas in different fields. The book presents concepts in nontechnical language and mathematical treatments are avoided where possible. New end-of-chapter summaries and questions allow students to check their understanding and critical thinking is emphasized to encourage students to explore ideas scientifically for themselves.